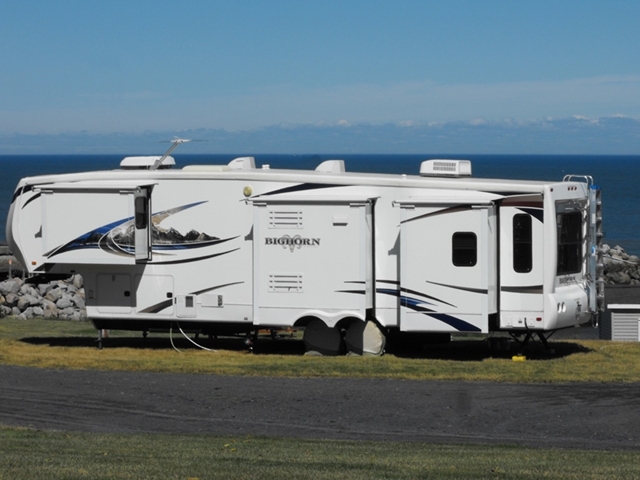 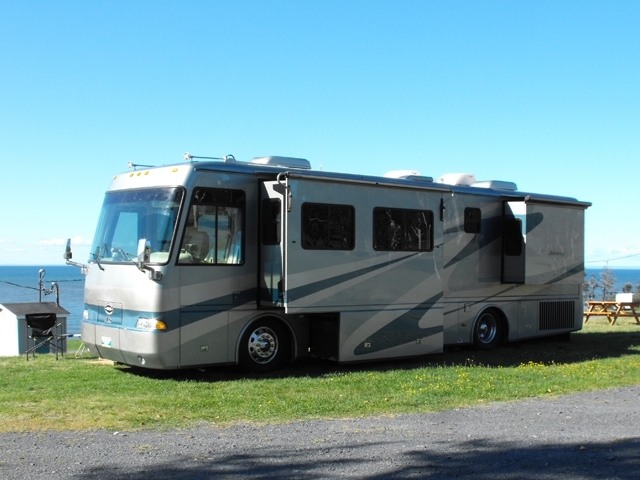 Site #35 is a Premium Water View RV site located on the south end of the Upper Terrace with an unobstructed view of the Bay of Fundy. 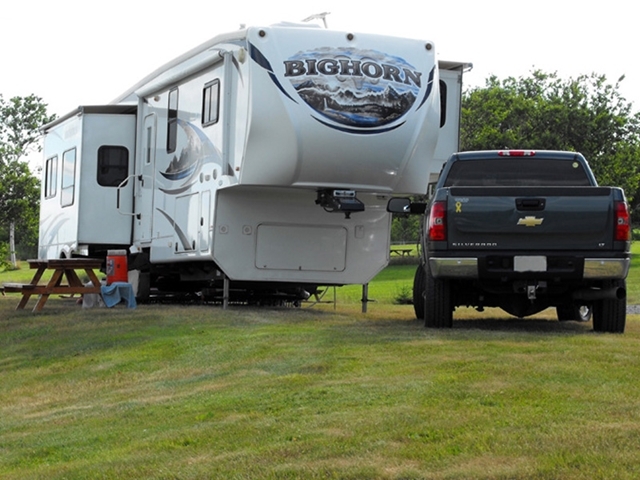 This large, level grassy site will accommodate one trailer, 5th wheel, RV or coach up to 40 feet in length, and may be utilized as a pull-through if desired. 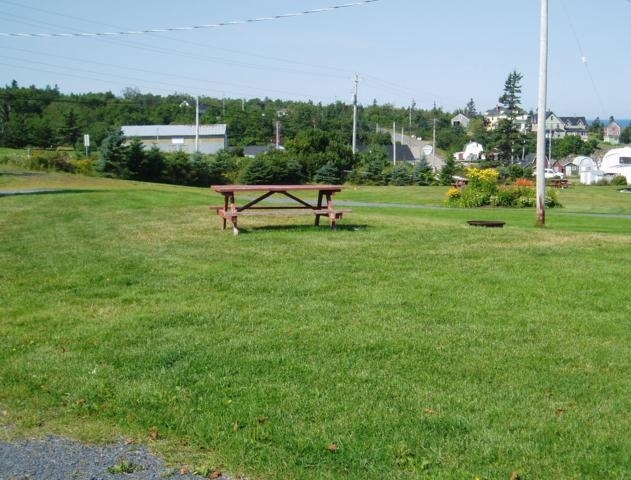 The site is equipped with certified drinking water, 30 amp power supply, sewer, picnic table and fire ring.